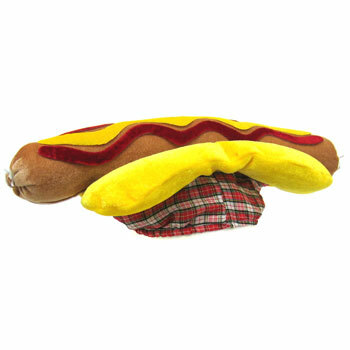 Hot Dog Hat measures 18 inches in diameter and 6 inches tall. One size fits all. Sold by the each. $4.40 each for 36 or more. $3.80 each for 72 or more.